Big resort with a 10km long ski run! Ski-in ski-out hotel - 15sec to the lifts and festival! Ski & Board amongst the Snow Monsters at the massive Zao Onsen Ski Resort! 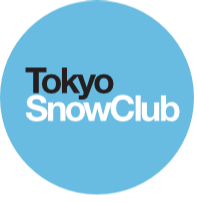 Free lessons, Onsens, ski-in ski-out lodge, party and more! Zao Onsen is a huge ski resort featuring 4 gondolas, 41 lifts and a super long 10km course stretching from one side of the mountain to the other! There is a large variety of courses perfect for beginners, intermediates and experts. The location of the resort means that Zao receives massive snowfalls each year. The consitstently great pow and the sheer size and number of courses of the resort make it a must visit. The snow monsters themselves are a stunning natural spectacle and its an amazing feeling skiing/boarding through their towering icy glare. Zao Onsen is one of our most popular trips of the season and always books out well in advance so get in quick if youre keen to join.